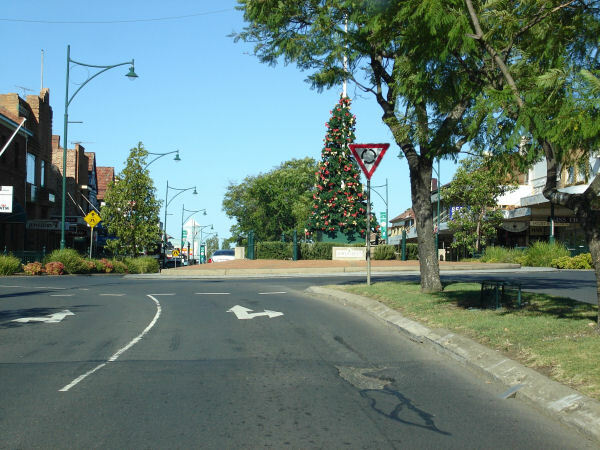 Suburbs, Towns & Localities along route: Prestons, Leppington, Catherine Field, Narellan, Camden, Razorback, Picton, Thirlmere, Couridjah, Bargo, Yanderra, Yerrinbool and Alpine. 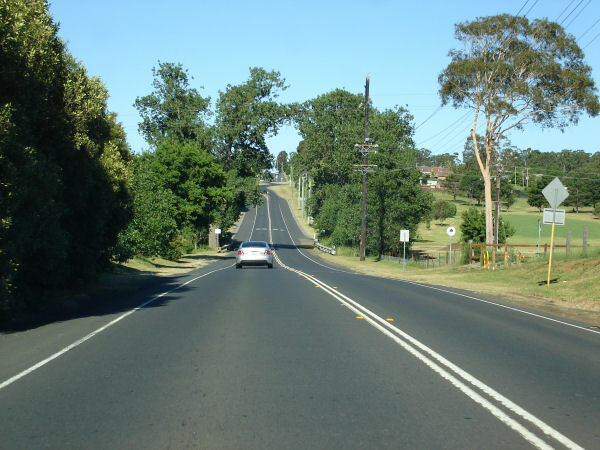 Tourist Drive 12 is located in southwestern Sydney and the NSW Southern Highlands. 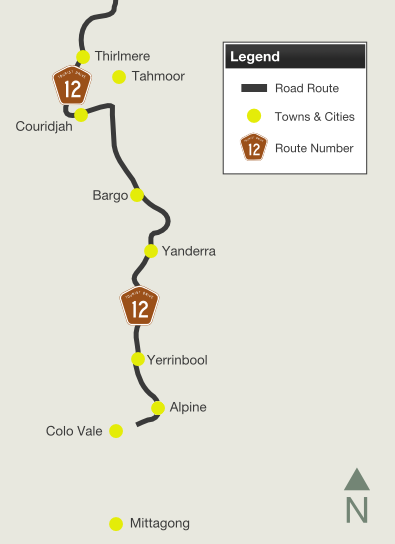 It mostly follows the old Hume Highway corridor (some of which is now SR89) that was bypassed some years ago, taking in numerous historically significant areas along its route. 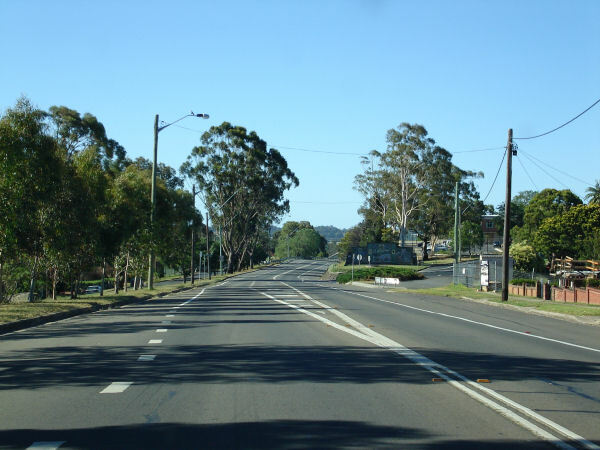 The former Hume Highway alignment is between Prestons and Alpine near Mittagong. 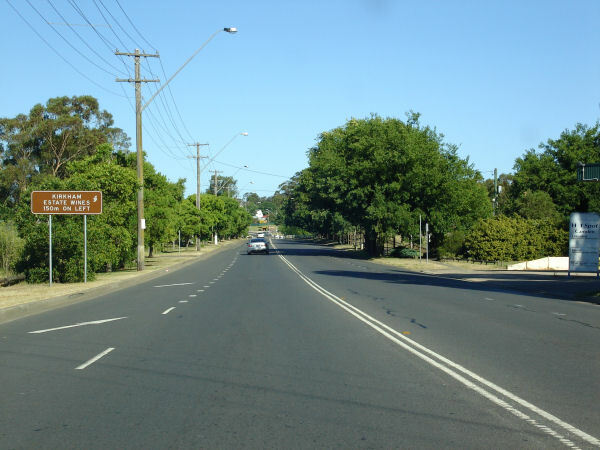 However there is a deviation between Picton and Bargo, with the route passing through the town of Thirlmere instead of following the old Hume Hwy route. 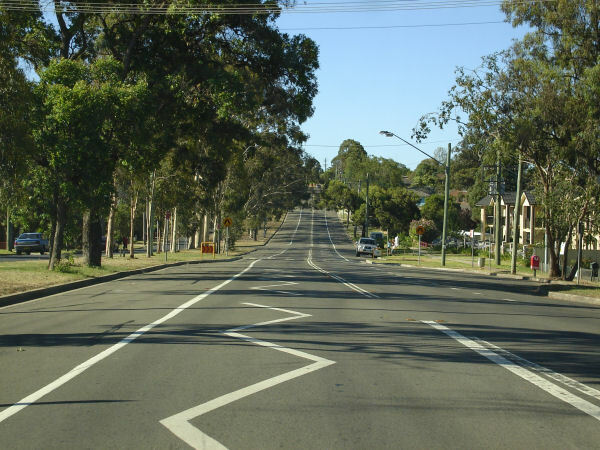 The Hume Highway section of the route has a very big history, which goes back to the the first road south from Sydney, known as the Great South Road, which was formed in the 1800s. Some sections of the route still utilise the concrete pavement laid in the 1920s and 30s. 1974: South Western Freeway extended to Narellan Road near Campbelltown. 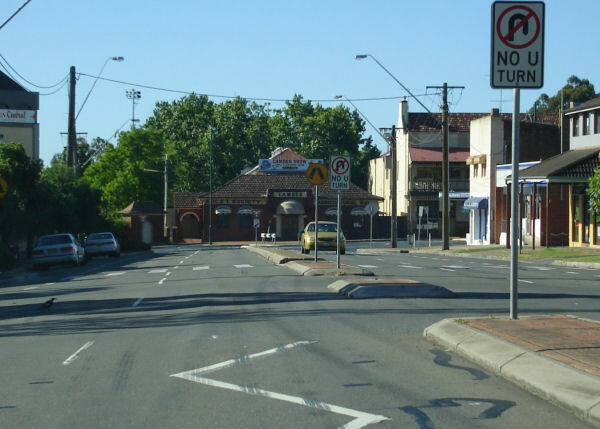 Looking northeast at Camden South, December 2005. 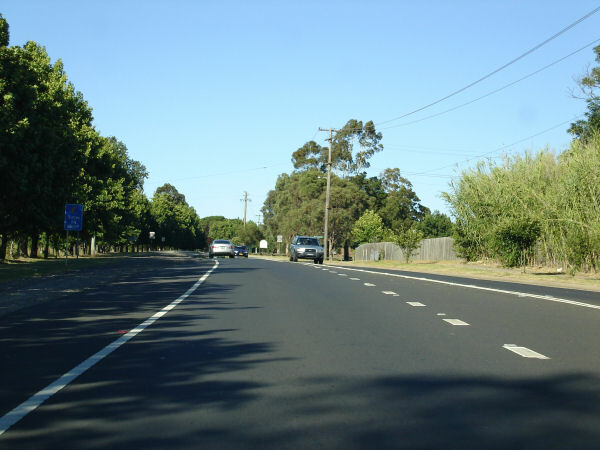 Northbound on the Old Hume Highway at Camden, near Ironbark Avenue, which also was once the highway. December 2005. 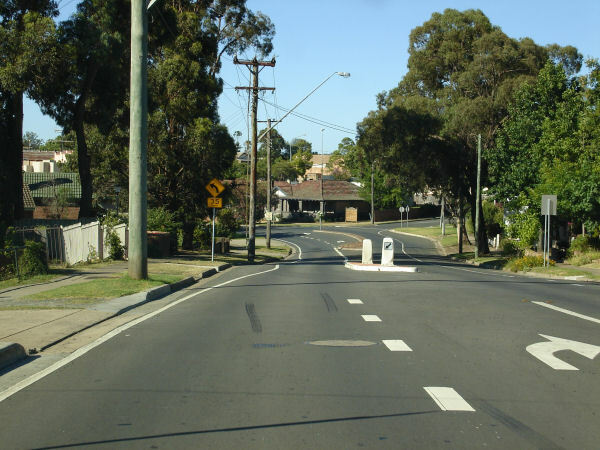 Approaching the pedestrian crossing near the Primary School, December 2005. 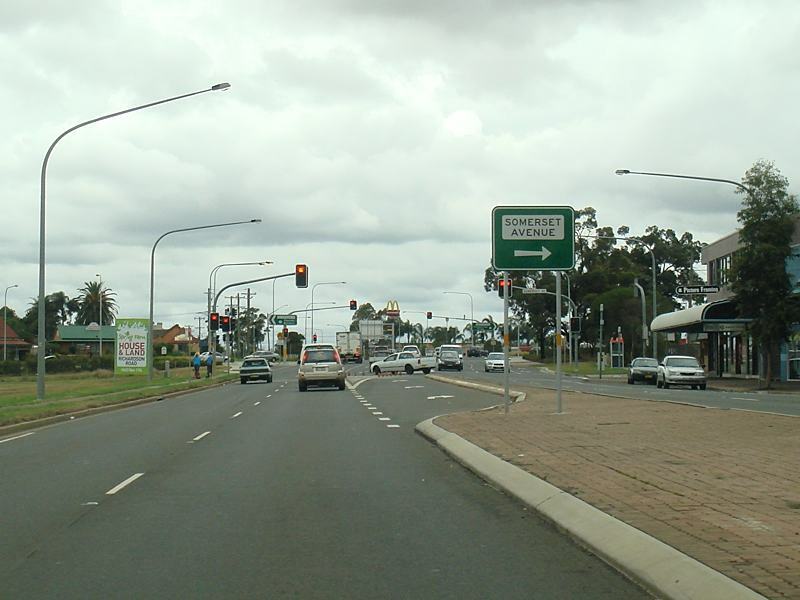 Looking north at the Menangle Road intersection at Camden. 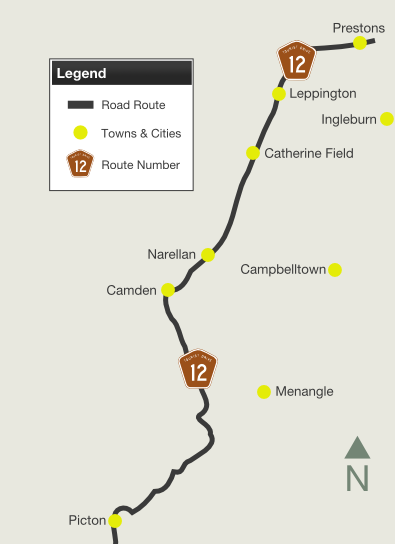 Menangle Road also once formed part of the Hume Highway. December 2005. Northbound on Broughton Street outside Camden Hospital, December 2005. Broughton Street travels off to the right and through traffic travels along Murray Street, December 2005. 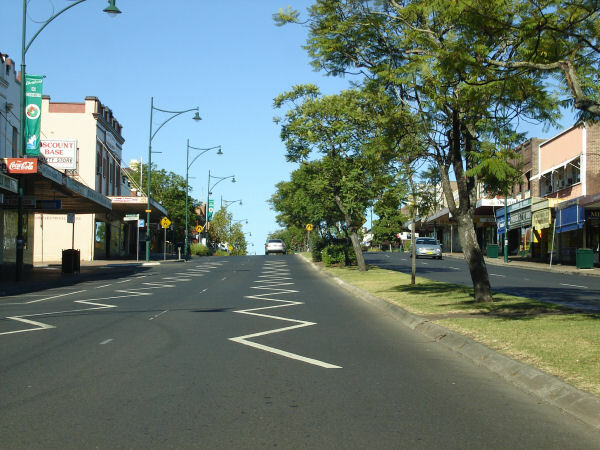 Taken December 2005 as you approach Argyle Street, the main street of Camden. 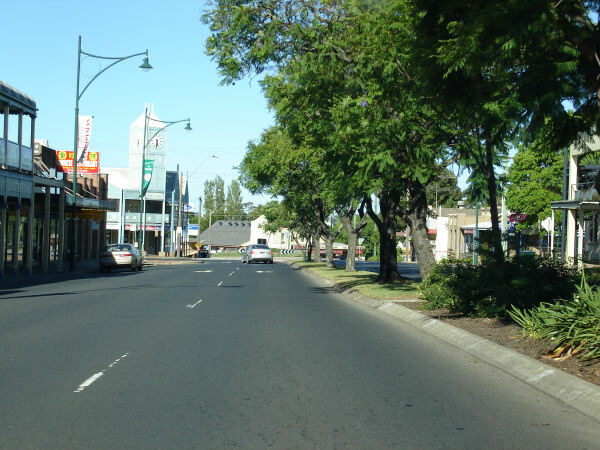 Looking northeast through the Camden CBD. December 2005. Looking northeast at the John Street intersection as you move along Argyle Street Camden. December 2005. 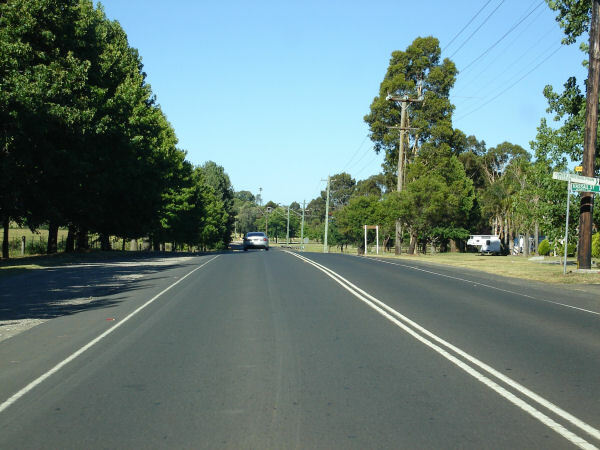 Heading northeast on Argyle Street Camden, again this was once the Hume Highway. December 2005. 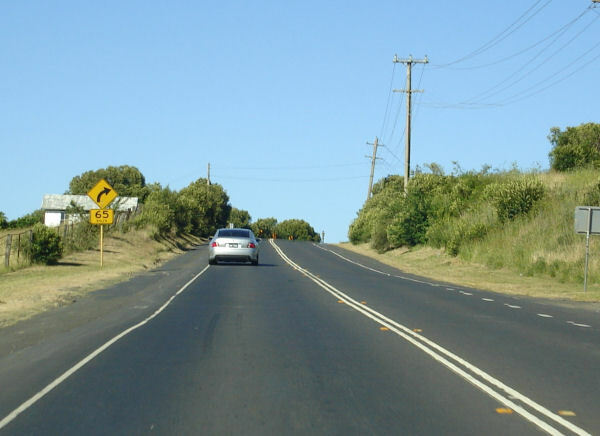 Looking easterly on Camden Valley Way as you pass Kirkham Estate Wines, December 2005. 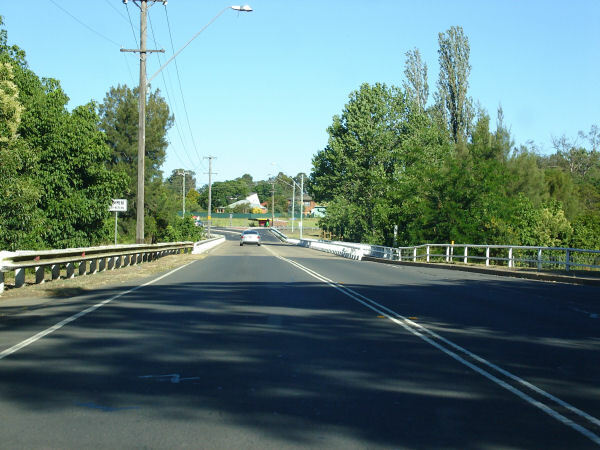 Looking northwest as you cross the Nepean River at Camden, December 2005. 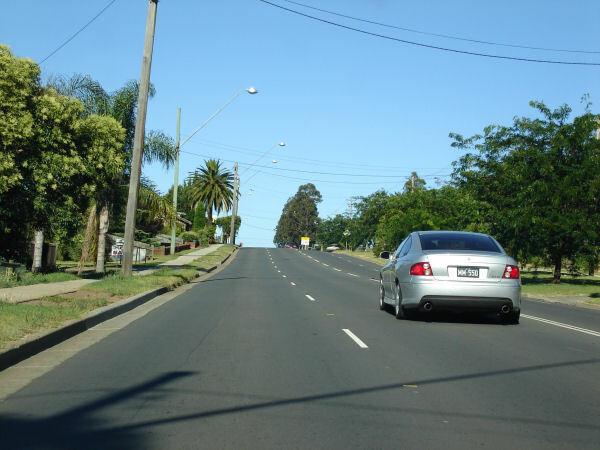 Heading along Camden Valley Way, near the numerous parklands in the area, December 2005. 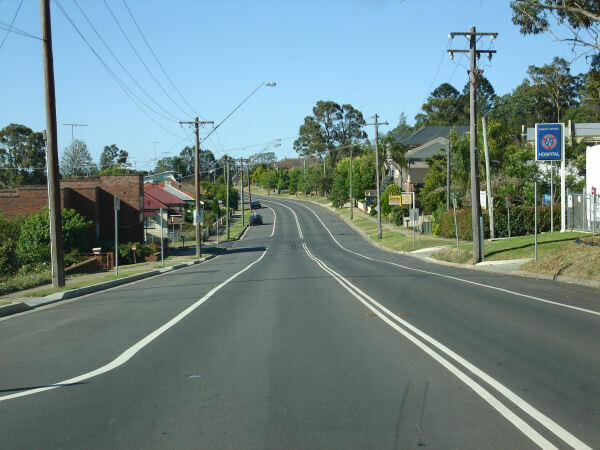 Passing through Kirkham as you head northeast near the Camden Golf Course, December 2005. 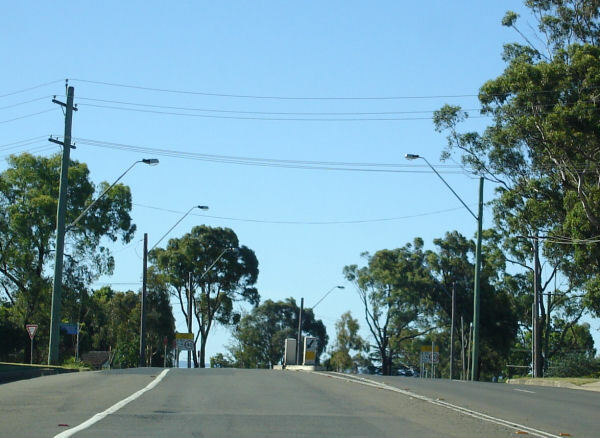 Approaching the intersecton View Drive and Wilson Crescent at Narellan as you travel along Camden Valley Way, December 2005. 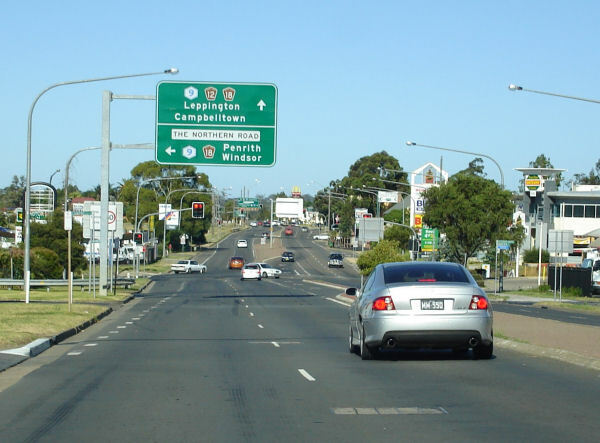 Heading northeast through Narellan, December 2005. 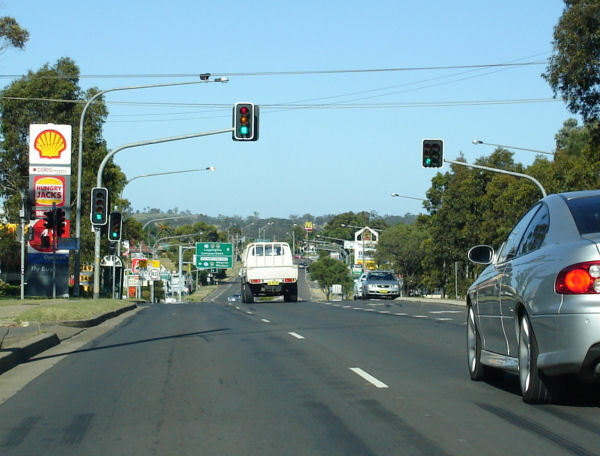 Approaching the intersection of Camden Valley Way and Old Northern Road (former Metroad 9 and SR69) at Narellan, December 2005. 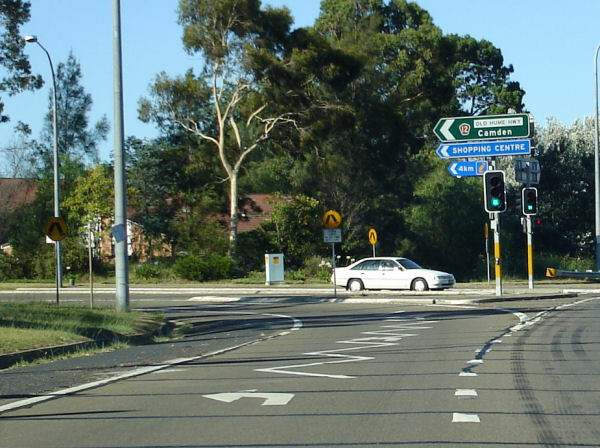 This sign has since been removed, with the intersection of the Northern Road no longer dog-legging through Narellan. Click here for a photo from December 2005 of the previous sign. 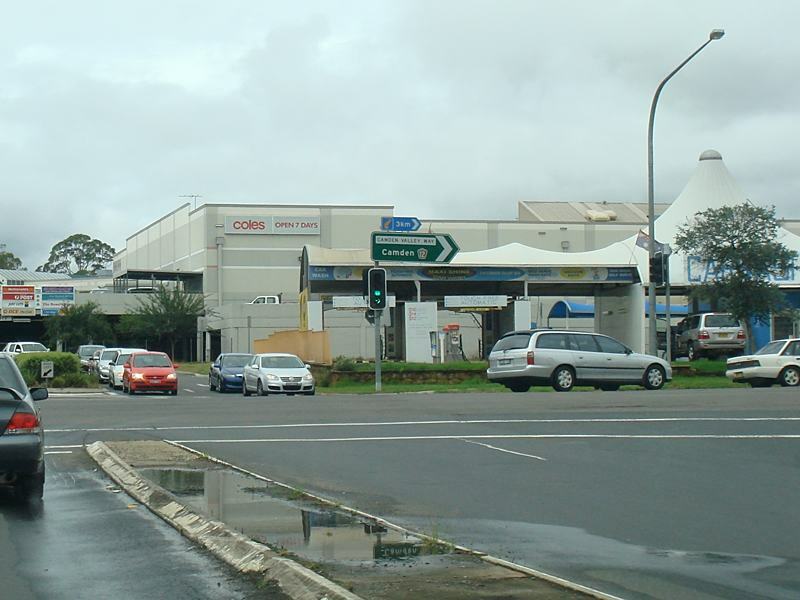 Corner of Camden Valley Way (TD12), The Old Northern Rd and the entrance to Narellan Town Centre shopping mall, December 2009. 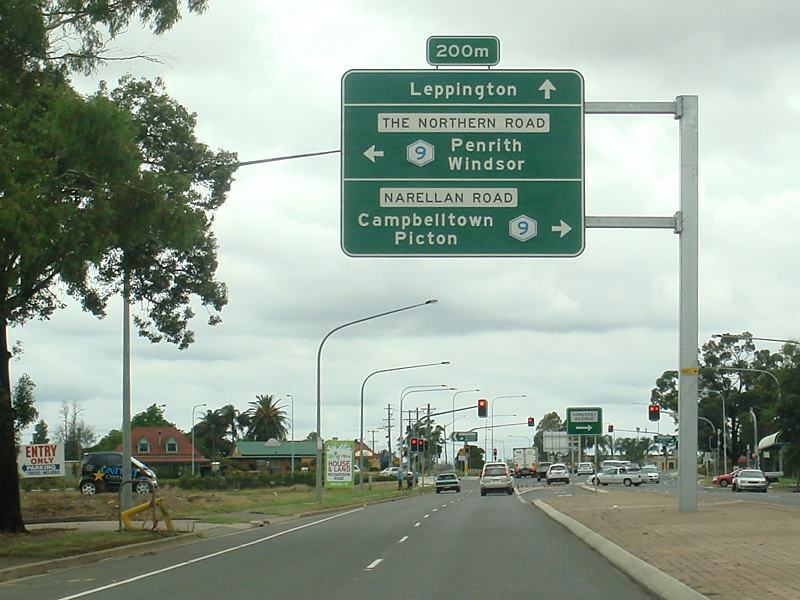 ID sign facing The Old Northern Rd at Narellan, December 2009. 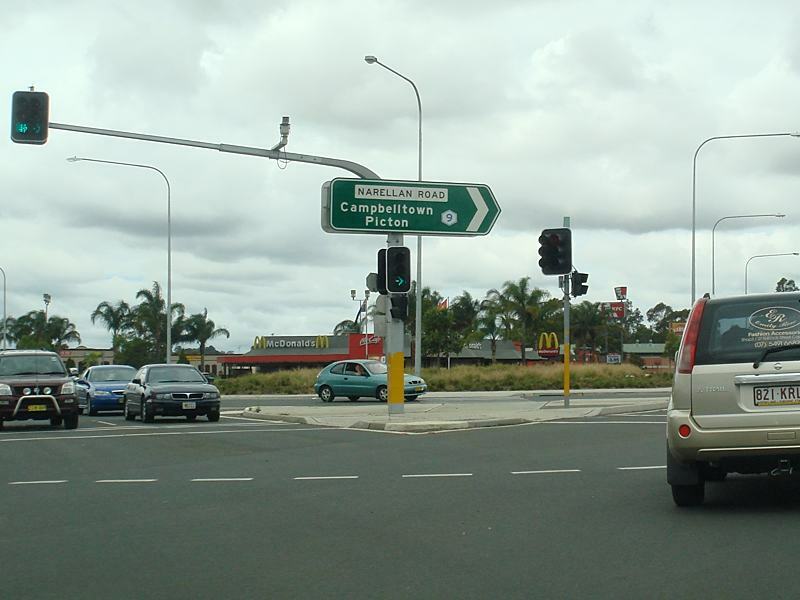 AD sign near Somerset Avenue in Narellan for the junction with The Northern Road (Metroad9) and Narellan Road (Metroad 9), December 2009. 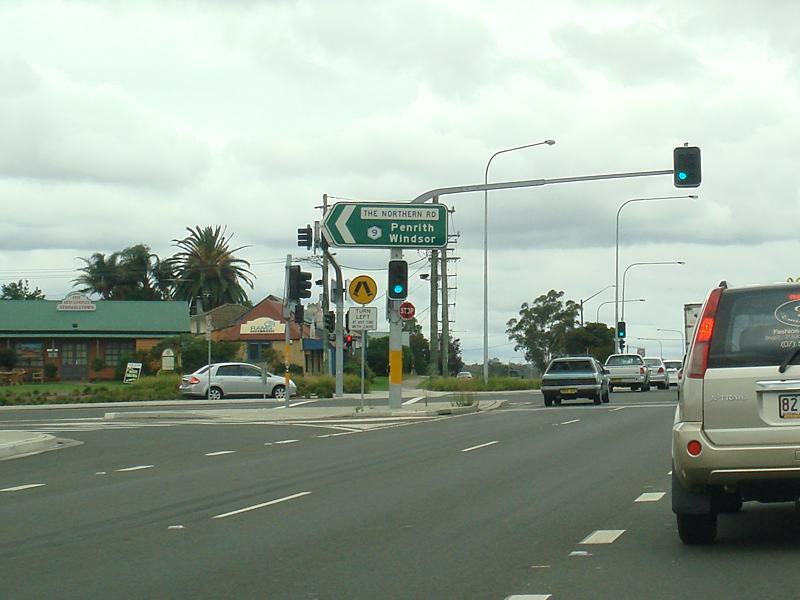 Camden Valley Way (TD12) as it makes its way through Narellan near Somerset Av, December 2009. 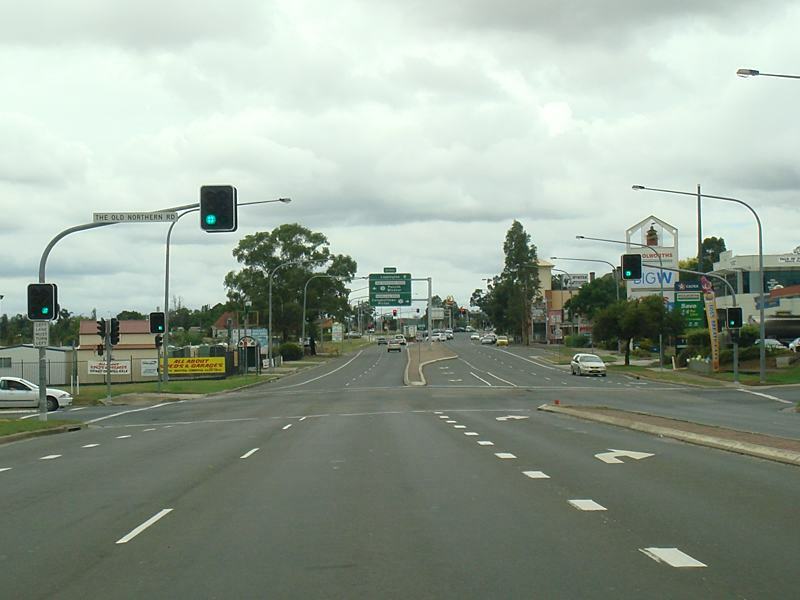 Corner of Camden Valley Way (TD12), The Northern Road (Metroad 9) and Narellan Road (Metroad 9), December 2009. This site © Paul Rands. All rights reserved. Some portions © (copyright) by their respective & credited owners. Permission must be obtained before using any images from this site. For details, please email by clicking here.